These transfer rod series are multi-purpose feedthroughs using a magnetic coupling system by which the sample in UHV conditions may be moved or transferred without breaking the vacuum. Compatible to UHV conditions below 10-8 Pa (10-10 Torr) operating pressure because of the complete air seal by the use of the magnetic coupling system. 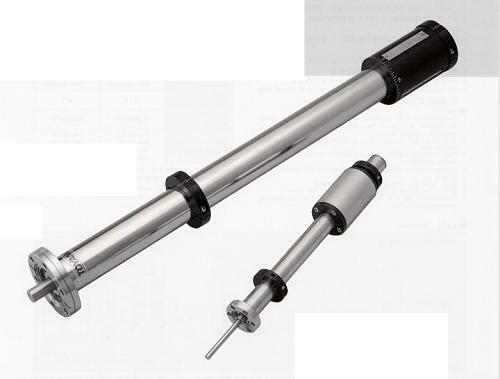 Both linear and rotary motions available smoothly by the sliding mechanism. Evacuation flange (ICF034) attached to the "+OP" type. Combination use with XY Manipulator (TM Series) enabling precision positioning.